Grinder is a wood body with steel core grinder, especially concrete, simple and elegance looking. 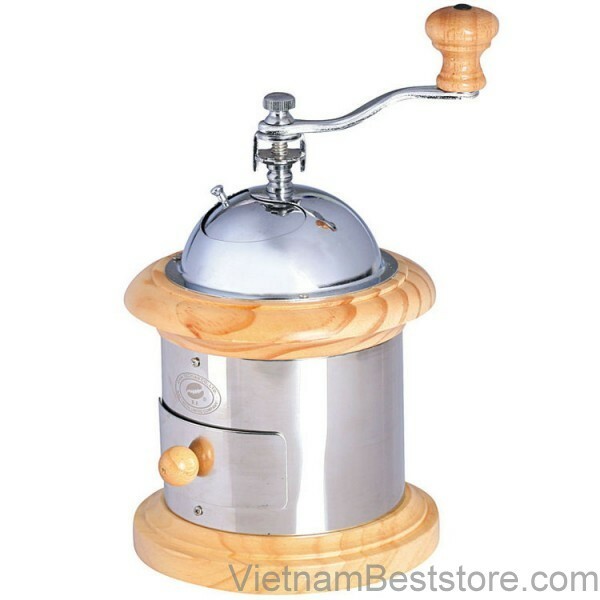 Its small size allows owner to bring along easily, otherwise this coffee grinder can be used as a decorate highlight at home or coffee shop etc… Each grinding turn gives out 2 cups of coffee. Easy to adjust powder's fineness to adequate with espresso machine or traditional filter cup. Coffee drawer is made from high-quality oak.